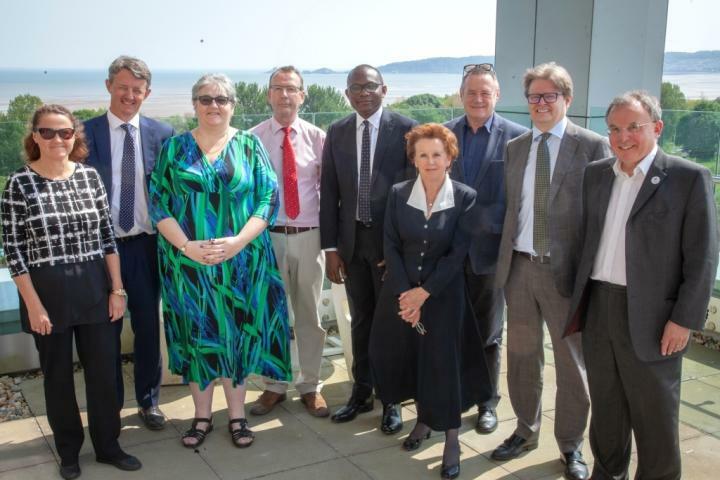 Swansea University Medical School has been chosen as the UK's first Diabetes Centre of Excellence by a global pharmaceutical giant. The Medical School's Joint Clinical Research Facility (JCRF), in collaboration with the Diabetes Research Unit Cymru, has been chosen by the Sanofi Global Network to become the new national centre of excellence. The JCRF is a joint enterprise between Abertawe Bro Morgannwg University Health Board (ABMU) and Swansea University Medical School. The Diabetes Research Unit Cymru is funded by Welsh Government via Health and Care Research Wales. Having worked closely on several clinical studies for Sanofi, Swansea University Medical School was chosen after the JCRF repeatedly demonstrated its ability to deliver a first-class service. "The JCRF has an excellent track record for rapid recruitment and patient retention which is vital to the successful delivery of clinical trials. The vast experience of investigators in the Diabetes Research Unit Cymru, along with their accredited laboratory and public reference panel, enables a comprehensive service across diabetes research. "We look forward to working on the exciting pipeline of drugs in development with this major pharmaceutical company." "The goal of this partnership is to apply the JCRF's diabetes research expertise to help accelerate the conduct of Sanofi's clinical trial. "Fostering relationships with key research sites, combined with our global and UK clinical study unit's operational experience in each phase of trial development, helps us advance medically meaningful studies for the benefit of patients." Professor Keith Lloyd, Dean of the Medical School, said the announcement demonstrated high-quality activity taking place in the diabetes field at Swansea University and how the Medical School is working with industry leaders to tackle today's grand challenges. "We know diabetes and related metabolic conditions are a leading cause of ill health and premature mortality regionally, nationally and globally, which brings with it huge financial pressures for our health services. "This is Sanofi's first ever UK Diabetes Centre of Excellence and is testament to the ongoing superb work by Professor Bain and his team here at the Medical School and at ABMU Health Board. The centre will work across all areas of diabetes research to help address the important social and healthcare needs in diabetes. "As a top 5 UK Medical School, we are working to ensure the wealth of diabetes expertise we have within the school has impact both in terms of research to develop new drugs and treatments but also to upskill our NHS workforce. "We are delighted to have just launched our first distance learning MSc in Diabetes Practice which starts in September. This course will provide advanced knowledge, clinical skills and experience to support NHS staff in an environment of increasing complexity of diabetes care and to combat the decreasing numbers of diabetes specialist nurses (DSN) as highlighted by the Diabetes UK DSN Workforce Survey 2016 despite the increasing number of people diagnosed with diabetes in the UK. "We are also gaining recognition internationally with Professor David Owens, Diabetes Research Unit Cymru Lead for Retinopathy, being shortlisted in The Royal College of Physicians (RCP) 2018 Excellence in Patient Care Awards. The awards recognise outstanding clinical activity that contributes to excellent patient care." "Welsh Government recognises that industry's part in global research collaborations is critical to address unmet clinical needs and further support economic growth in Wales, and we welcome this strategic partnership with Sanofi. "The Joint Clinical Research Facility at the Medical School and Abertawe Bro Morgannwg University Health Board plays an important role in increasing research opportunities for patients to join national and international high quality research studies within their locality." Swansea University Medical School is a UK top 5 Medical School offering a comprehensive portfolio of undergraduate and postgraduate courses spanning medicine, physician associate studies, biochemistry, genetics, genomics, autism, data science and health informatics, health and life sciences working to meet tomorrow's science and healthcare challenges. Swansea University Medical School was established in 2004 and is based in Wales's premier health and life sciences research facilities in the Institute of Life Sciences 1 and 2 (ILS), the Centre for NanoHealth and Data Science Building on the Singleton Campus. Swansea University Medical School is now ranked as the UK's 4th best Medical School in The Complete University Guide 2019. Within the Research Excellence Framework (REF) 2014, Swansea University Medical School was ranked equal first in the UK for the quality of its research environment and second for overall research quality. In 2016, it became the first department in Swansea University to win Athena SWAN Silver recognition for its work to promote women in science careers. Swansea University is a registered charity. No.1138342. Visit: http://www.swansea.ac.uk.